Glass has transparent glass and a small mounting which consists of camera and microphone on the right hand side top corner. Apart from the this mounting it’s as good as a normal eyewear. HoloLens is bulkier somewhere in between Glass and Oculus Rift. Its glass is tinted. It has its own processors, adjustable head band, speakers which give surround sound and a microphone. It is battery powered. 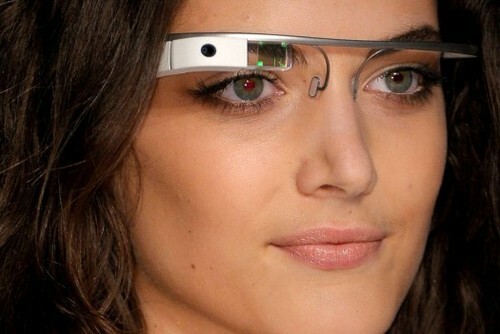 Glass is meant to be unobtrusive device for the user and can be worn all day long. It can sync with your phone and could call, send texts, browse internet, and take pictures and videos. HoloLens is completely untethered i.e. it does not have any connections to PC or smartphone. It is supposed to provide mixed experience of augmented and virtual reality. It is meant to run apps based on Windows 10 platform. Glass is limited in functionality and targeted for the day-to-day usage of the consumers. Users can use Glass practically at any place. On the other hand, HoloLens is targeted for enterprise market. It is supposed to be used at work place and at your home. If you take it out, its battery might not last long. Glass was overprized for its limited functionality. Cost of HoloLens is not yet out. However, predictions say it could be somewhere near 400$. Glass prototype failed because of privacy and social aspect linked to it. It was difficult to figure out if a user wearing the Glass had video recording mode ON or is taking picture. Hence it was banned from movie theatres and at some public cafes – what is referred as Glass-hole. Microsoft learnt from these loopholes and has not suggested that HoloLens can be used at public places in any of their promotional videos. Therefore it is currently expected to suffer less from social aspects. Next post: What are the Benefits of Cloud Computing Platforms ? Previous post: How Microsoft HoloLens Works ?